My debut YA novel - Now available on Amazon! I recently self-published my first novel, one which I've been working on since I was a teenager. I'm now a freelance writer in South Korea, in between teaching jobs, I finally had the time to perfect what I had been rewriting since I was fifteen. 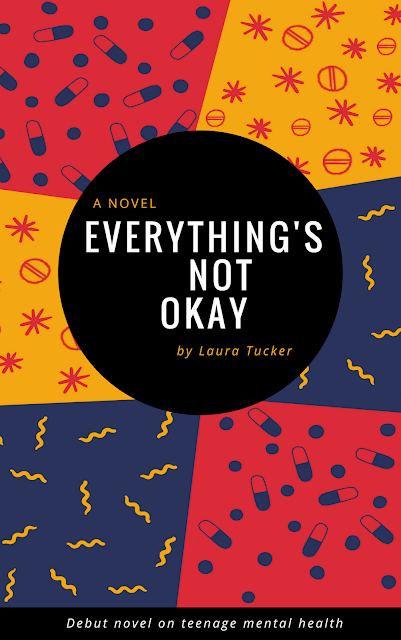 Everything's Not Okay is a story about Kate, a 17-year-old with mental health issues. Wildly unpredictable and lacking all self-control, Kate is sent by her family to a clinic where she must live for one month for diagnosis. While here, Natalie finds that she can numb her pain slightly; in the arms of Aiden and James who both struggle with problems as complex as her own. Becoming caught in an unstable love triangle of her own making and not knowing how fix it, Kate must finally come to terms with her mistakes and the possibility that she might indeed need help. This is my first novel, and it is a defiant story of teenage mental health and the struggle to become an adult in a world shaped by our own unstable minds. In some ways it's a romance, but in more ways it's a story about coming to terms with your flaws, rectifying the past and taking back control from the hands of chaos. The book is available to preview and buy on Amazon. And to review on Goodreads.